Known as the Diamond State, Delaware holds a small — but luminous — spot in the mid-Atlantic region; a state perfect for young families, retirees, or career-oriented folks looking for a peaceful escape from larger adjacent metropolitan areas. If you are considering a move and are looking for an experienced, well-known home builders in Delaware, we invite you to give Montchanin Builders a try – you won’t be disappointed! Our homes can be customized to suit your needs, and we work with families across all three counties. Whether you are looking for the glitzy nightlife of the Wilmington waterfront, or prefer the complacency of slower, lower Delaware, Montchanin is the builder for you. 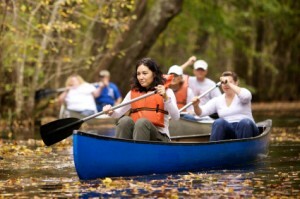 Particularly if you have a young family, there is always something to do in Delaware. In New Castle County, the Brandywine Zoo has kicked off its Boo at the Zoo! event showcasing some of the lesser known nocturnal inhabitants – including Rosie, Peaches & the Skunks! For Kent County residents, the Dover area boasts an impressive nightlife scene, a major stock car racetrack and a historical downtown area unparalleled by any of the other 13 colonies – remember, we’re the original! Lastly, the Atlantic Ocean and Delaware Bay converge with several scenic waterways in agriculture-rich Sussex County, providing families with unending access to pumpkin patches, hayrides, orchards and off-season access to some of the most iconic shorelines on the Atlantic Coast. Trust us, if you are considering a move to Delaware – you won’t run out of weekend activities! Montchanin Builders offers a wide range of options as you select your new home – from unique floor plans down to the finer details of bathroom fixtures and kitchen particulars. Whether you are in search of a beautiful townhome in our master-planned Darley Green neighborhood, or are looking for a stand-alone model, our home building professionals can guide you through every option. Our team is comprised of the gamut of new home professionals, including architectural, engineering and financing specialists. If you are already a Delaware resident and are looking to upgrade your home, Montchanin Builders can offer custom-designed remodeling services to help you achieve the home of your dreams – without actually moving! What’s more, our team of dedicated custom-home professionals will work with you every step of the way, beginning with the design process – which is often difficult for many long-term homeowners. If you are ready to spruce up your home, Montchanin Builders is ready to work with you. Whether you are looking to upgrade, downsize, expand or remodel, allow Montchanin Builders the opportunity to meet with you and discuss your options. We are the #1 choice for custom home building and home renovations in Delaware, and we’d love to show you why! For more information or to make an appointment with one of our home building professionals, contact Montchanin Builders at 302-472-7213 today.